As highlighted in a recent Twistfix news article, problems caused by penetrating damp are particularly numerous at the moment due to recent heavy rainfall. Although currently offering some respite, we are now in the season of April showers where severe and sudden rainstorms often lead to puddles of standing water on flat roofs and overflowing gutters which drain their contents down across the surfaces of walls. 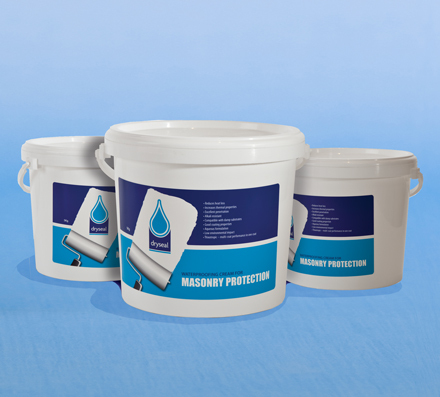 Making sure that the outside surfaces of a property are adequately defended against this onslaught is essential and Twistfix provide the perfect solution - water resilient coatings. A property's roof is its first defence against the rain and should be treated as such by ensuring it is maintained at optimal quality. 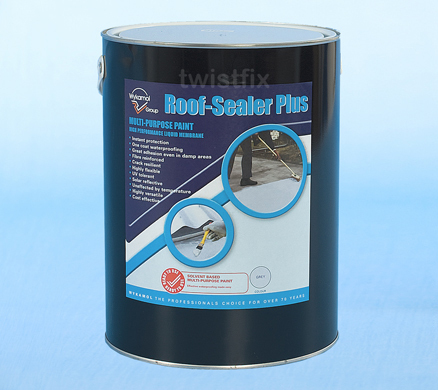 As well as making regular checks to see there are no loose slates or other damage, flat roofs should be fully treated with a sealant such as Twistfix Roof Sealing Paint, which is fully guaranteed to provide a professional level of protection against the ingress of water. 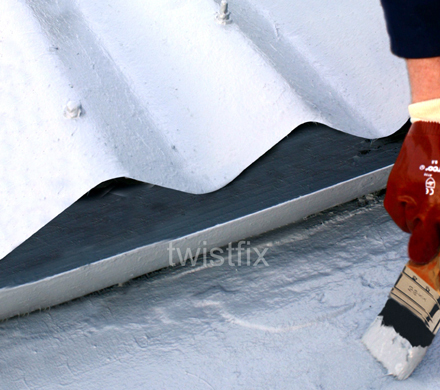 Effective, innovative and highly robust, Twistfix Roof Sealing Paint is designed to create a tough, lasting waterproof coat immediately upon application to a roof. This immediacy allows for the product to be used at any time, even when it is raining, in the confidence that it will provide the required protection without hassle. Added fibres within the unique formula enhance its flexural strength, allowing it to bend naturally with a roof’s natural thermal movement without compromising the superlative level of protection. Application is achieved quickly and easily using a spatula or brush and, usually covering in a single coat without the need for any priming whatsoever, Roof Sealing Paint is solar reflective to improve the energy efficiency of the property whether applied to slate, metal, asbestos, felt, concrete or asphalt.. As well as roofs, the product can also be applied to roof lights, valleys, gutters and lead bays. Driven against porous masonry walls by high wind, rain soaks in and causes severe damage to the structure. To combat the problem, the simple application of Twistfix Damp Seal Cream is recommended. The silane cream has a strong thixotropic formula which creates a waterproof coat with complete vapour-permeability. 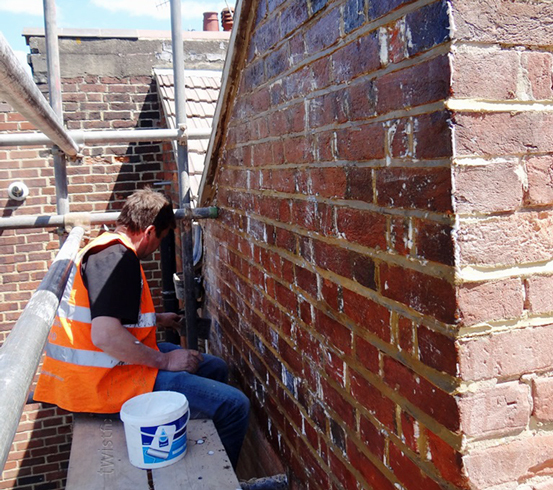 When applied, the cream gradually but completely penetrates into the masonry's microscopic pores, inhibiting capillary motion to greatly reduce frost attack, spalling and damp-staining potential. Also offering protection against chloride and salts, the water-repellent cream can be used on overhead surfaces as well as vertical and is at least four times more effective than standard liquid treatments. For more information on protecting your property from the damaging effects of penetrating damp, please contact our expert repair and renovation team by calling 0845 123 6006 or emailing sales@twistfix.co.uk.